Cheng, Judith. Very Good. 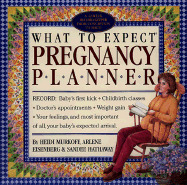 What to Expect Pregnancy Planner by Eisenberg, Arlene. Glued binding. Paper over boards. Product in slip-sleeve. 24 p. Contains: Illustrations.